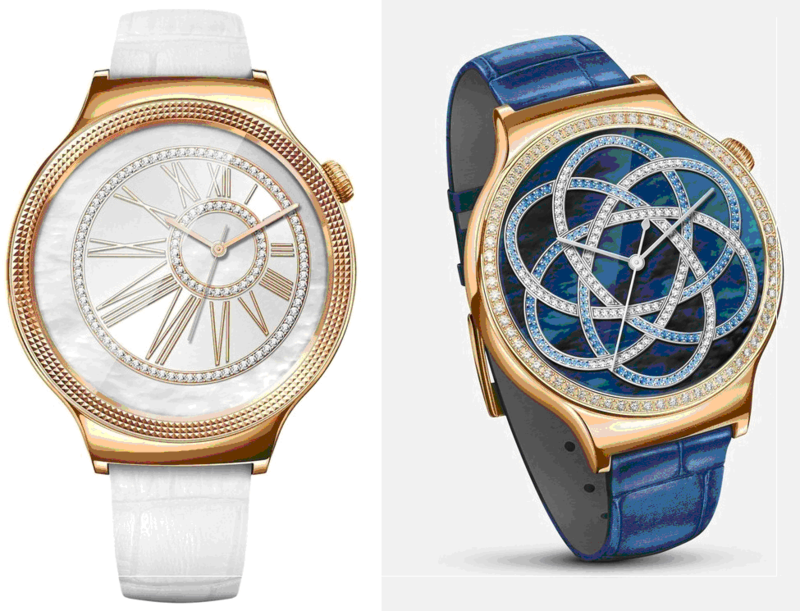 Huawei has recently introduces two of its all new elegantly delicate Smart watches for ladies. Huawei is already known for its tradition to address the wide spectrums of customer segments equally. This is one of the reasons that Huawei’s brand awareness and consumer pool across the globe has been growing incredibly faster. In the last year products of Huawei ruled the international as well as the local Pakistani market. Moreover Huawei is not confined itself to the production of best high quality smart phone devices but it has a large number of technology products and solution for the customers that can only be satisfied by Huawei brand. Products like newly revealed smart watches for its female customers depicts Huawei’s versatile approach to address the customers need indeed efficiently and keeping them high in their social status and style. The recently unveiled models of Android smart watches by the global technology giant are “Huawei Watch Elegant” and “Huawei Watch Jewel”. The company has named these watches keeping the delicate aesthetic taste of customers in keen focus because the wrist wearable must be more elegant, stylish and aesthetically superior along with being a smart technology product. Honestly a thick and least attractive technology wearable is indeed least appreciable. Subsequently Huawei has crafted these smart watches with a wonderful blend of esthetic touch and high technology and presents unmatched product in market. It is also notable that these smart watches are probably the only pair of smart wearable which is particularly designed for women. Both the introduced smart watches have smaller wristbands and a set of outstanding plus exclusive feminine watch-faces. The users of the smart wearable can enjoy different watch-faces for the changing occasion or moods. Among these watches the Huawei Watch Elegant is rose-gold-plated steel body with indeed elegant pattern on it making it attractive and stylish. Apart from this Huawei is offering a small speaker in these wrist watches for on-wrist voice calling, that will definitely loved by the users because it is really fun having elegantly stylish and technological best wearable with calling feature as well. Now all waited for thing is the launch dates for these unmatched, finely decorated and technologically best crafted smart watches. But the confirm thing is that Huawei is going to offer these smart watches across the markets of Europe, America, Middle East, South Asia and South East Asia. Truly the deep reach of Huawei will facilitate the customers no matter where they live in the world.